Mirfield Mill Carpets provide the highest quaility of Luxury Vinyl Tiles (LVT's). 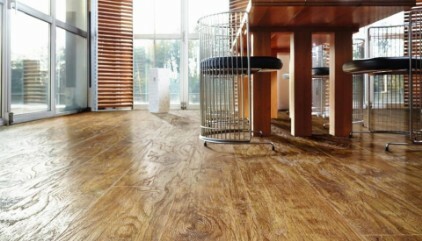 combines the authenticity and beauty of natural products, with the rugged durability of innovative vinyl technology. With three superb product ranges; Impress, Select and Transform, we offer beautiful wood and stone effect finishes which include oak, wenge, teak, pine, elm, maple, concrete, slate, bluestone and granite. 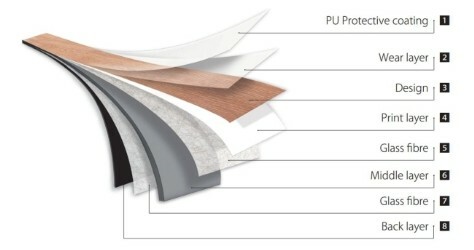 All our luxury vinyl flooring comes complete with a unique Protectonite PU wear layer which protects the flooring from scuffs, stains and dirt. Our Transform range offers the most hard-wearing top layer, making it ideal for areas with particularly heavy footfall while Impress includes a unique registered emboss texture to bring accurate real life textures to the flooring. All ranges include the option to install using CLICK technology.